NHL fans look forward to the Winter Classic each year, as hockey is played in its purest form - outdoors in the freezing cold, but with the added benefit of stadium amenities like grandstand seating, concessions and bathrooms. 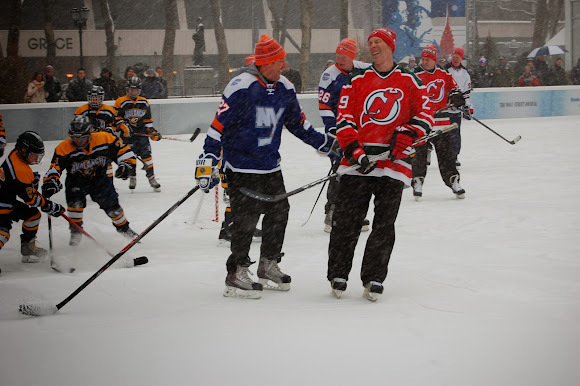 With the success of this tradition, the NHL is gearing up for a new round of outdoor games with the 2014 Stadium Series, taking place at Dodger Stadium, Soldier Field, and right here in New York City at Yankee Stadium. 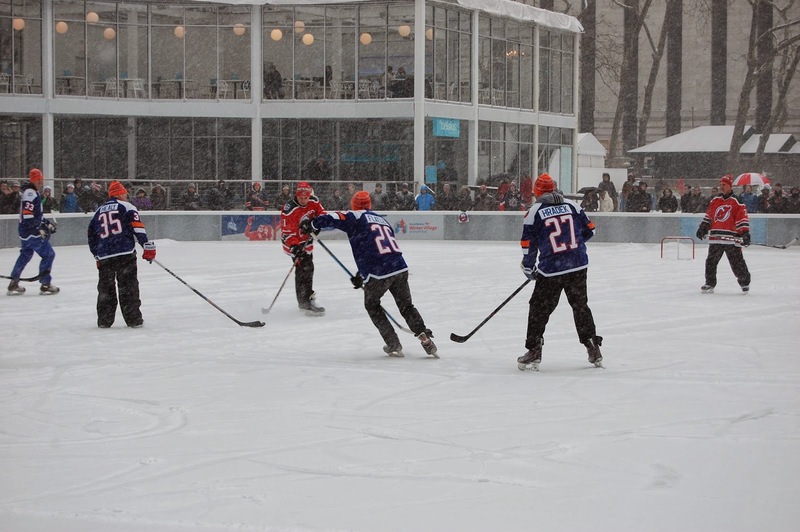 Earlier this week, Bryant Park visitors were treated to a surprise exhibition game at the Bank of America Winter Village Rink from past NHL greats including professional players from the New York Rangers, New Jersey Devils, and New York Islanders. 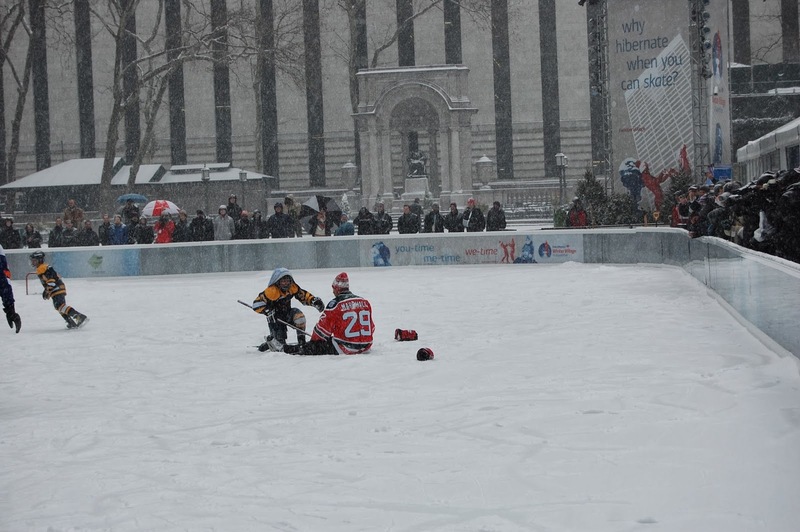 The North Jersey Avalanche junior hockey team also came to take part in the fun. Here's a video of all the snowy action from Tuesday.